Discover the Victorian Premier and Department of Premier and Cabinet ministers. 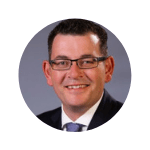 The Hon Daniel Andrews MP is the 48th Premier of Victoria, and the Leader of the Victorian Labor Party. Mr Andrews was first elected to the Victorian State Parliament in 2002 as the Member for Mulgrave. He was appointed to the Cabinet in 2006, as Minister for Consumer Affairs and Gaming. In 2007, he became Minister for Health. Mr Merlino is also the Minister for Education. Mr Merlino has been Deputy Leader of the Labor Party and Minister for Education since 2012. Prior to this he served as the Shadow Minister for Police and the Shadow Minister for the TAC and Road Safety. He has been the Member for Monbulk since 2002. 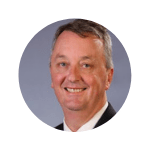 Mr Jennings is also the Leader of Government in the Legislative Council and Minister for Priority Precincts. As Special Minister of State Mr Jennings will oversee government transparency, integrity, accountability and public sector administration and reform. 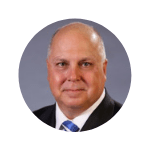 Mr Jennings is the Member for the South-Eastern Metropolitan Region. 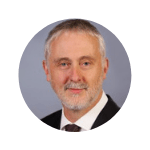 He has previously served as Deputy Leader of the Government and the Opposition in the Legislative Council, as well as the Shadow Minister for Health, Shadow Minister for Mental Health and Shadow Minister for Ambulance Services. Mr Pallas is also the Treasurer and Minister for Resources. He represented Tarneit from 2006 and Werribee from 2014. He has previously served as Minister for Roads and Ports, Minister for Major Projects and Minister for Resources. Tim Pallas was elected to the Victorian Parliament in 2006 and is the State Member for Werribee since its creation in 2014. He previously served as the Minister for Roads and Ports and Minister for Major Projects under the previous Labor Government. Martin Foley is also the Minister for Mental Health and Minister for Creative Industries. Mr Foley previously served as the Minister for Housing, Disability and Ageing and as Shadow Minister for Water, Shadow Minister for Arts and Shadow Minister for Youth Affairs. He is the Member for Albert Park. Mr Scott is also the Assistant Treasurer. He has represented the electorate of Preston since 2006. Mr Scott has previously served as the Minister for Finance. He also served as Shadow Minister for Finance and Shadow Minister for WorkCover from December 2010 and the Shadow Minister for Consumer Affairs from December 2013. Ms Williams was elected as the Member for Dandenong at the 2014 Victorian election. Mr Wynne is also the Minister for Planning and Minister for Housing. He has represented the electorate of Richmond since 1999. 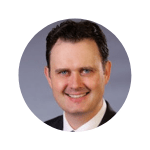 He has previously served as Minister for Aboriginal Affairs, Minister for Housing and Minister for Local Government. He held the following positions in the Bracks Government: Parliamentary Secretary for Justice, Cabinet Secretary and Minister for Housing and Local Government. In the Brumby Government, he was Shadow Minister for Aboriginal Affairs and Closing the Gap, Shadow Minister for Housing, Shadow Minister for Local Government and Shadow Minister for A Fairer Victoria.